Banish those dark spots for good! Yes, it's extremely difficult to resist popping a ripe, pus-filled pimple. However, picking on a zit can actually make your skin situation worse: The bacteria from your hands can infect your pimple, resulting in nastier acne scars. If you're super desperate to stop a stubborn pimple in its tracks, try applying a cold compress to help reduce swelling. Prevent pimple-causing bacteria from building up on your face by washing your face daily. Go for a cleanser that targets your specific skin type whether you're sensitive, dry, oily, or combination. Don't forget to use a clean towel to pat your face dry afterward. Exfoliating helps remove dead skin cells, speeding up the process of scar fading. But don't go crazy scrubbing as it might strip your face of its natural oils, triggering your skin to produce more sebum that can lead to more pimples. Twice or thrice a week should be enough. Exposure to the sun's harsh UV rays can cause hyperpigmentation that can darken your acne scars, making them more difficult to lighten. Before stepping up, don't forget to use sunscreen with at least SPF 30 to protect your skin, allowing it to recover faster. The dark spot that remains after a pimple is long gone is one of the worst things about getting a zit. 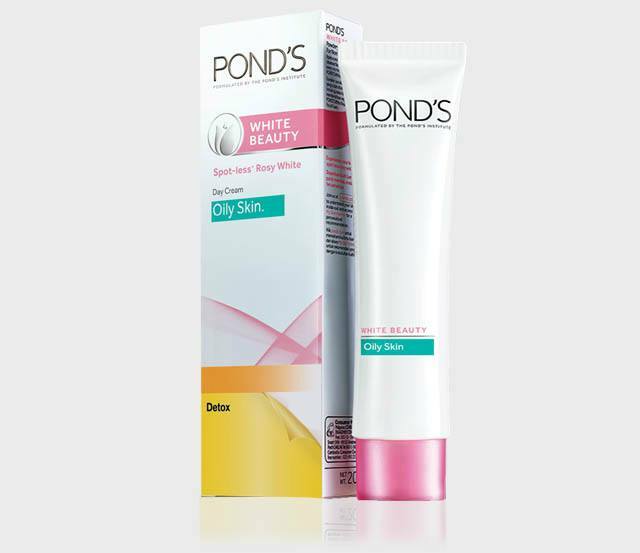 Make sure you’re taking the right step to treat those pesky marks with Pond’s White Beauty Detox Day Cream for Oily Skin, which has vitamin B3+ and 12HSA to reduce hyperpigmentation and fade dark pimple marks three times faster. Staying hydrated help your body get rid of toxins, preventing breakouts. Plus, it gives your body the ammo it needs to fight and speed up your skin’s healing process. It's great how simple tweaks to your beauty routine can leave your skin looking flawless. Zits already come uninvited—make sure they leave without a trace as well. For more information about Pond’s products, head to their Facebook page.